Teacher Resources > Monday Morning Ready > Judy Blume speaks about her career and what it means to write a "Banned Book"
Which book character do you identify with the most? Why? If you were wrote a book, what important life issue would you write about? Name one pivotal event you would include to help tell your story. Every year, the American Library Association publishes a list of its Top 100 Banned/Challenged Books. Do you think the association should publish a list like this? Why or why not? And if you agree with the list, what kinds of books do you think it should include? 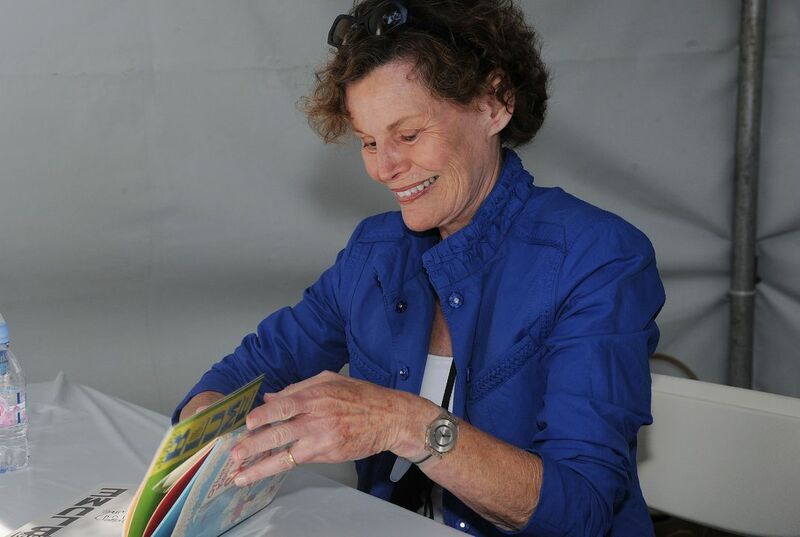 Judy Blume's books deal with coming-of-age issues that many people deal with as they mature. In the early 1980s, people attacked her books because they felt they were inappropriate. Do you think people would feel that way if she published these same books today? Why or why not? Read this Smithsonian article to learn why curators and practitioners of the arts share a renewed focus on how culture and heritage shape who we are as Americans. See the top 10 books in the American Library Association’s most recent list of most challenged books and learn why each book is on the list in this Smithsonian article. In this Smithsonian Folkways lesson, students analyze and play (on guitar and drums) the traditional Afghan music played on the rubab and tabla. The lesson includes a discussion of the censorship of traditional music under the Taliban. Lead your students on the path to self-discovery with this lesson from the Cooper-Hewitt, Smithsonian Design Museum. Students examine genres of art and literature and then create a personal piece of poetry and a well-balanced, skilled collage representing their inner selves. In this lesson from the Cooper-Hewitt, Smithsonian Design Museum, students read “To Kill a Mockingbird” by Harper Lee and “A Lesson Before Dying” by Ernest Gaines. Then they identify social injustice in their own communities through both traditional and hands-on research and design a solution for those problems.